Surprise someone special with a consultation for Valentines Day! Intuitive Animal Communications 2 for the price of 1. 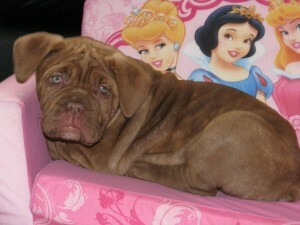 Give one to your valentine and keep one for you and your animal sweetheart . Wouldn’t you like to know? Special messages for you…from their point of view. Insightful, fun and helpful. With love…from their point of view. This article caught my attention on how to toilet train your cat, it even comes complete with videos. I know cats have excellent balance so it’s not as precarious as you might think. Have you had any experience toilet training your cat? This article titled “Intuition the Easy Way” is written by Karen Grace Kassy and is great for those of you who want to know how to get in touch with your intuition in an easy to understand and practical way. We all were born with intuition but sometimes we need to learn to get in touch with it again. That feeling you have inside is telling you something. Have you ever wished you’d listened to your intuition? Recipe for Your Dog’s Favourite Peanut Butter Cookies – what dog doesn’t love peanut butter? knead and roll dough out to 1/4 inch thickness then cut into your favourite shape with a flour dusted cookie cutter. Bake for 20 minutes on a greased cookie sheet until golden brown and then let cool before giving with your animal friend or as a gift . Makes approx. 2 dozen cookies. Store in an airtight container, but your dog will still know where they are! Millie is the new practice animal for you. 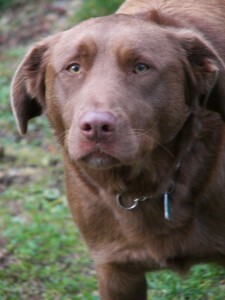 She is 2 1/2 years old and is a lab shepherd mix and lives on Vancouver Island with her family. Remember to write everything down, the information might not make sense to you but will to Millie or her family. You can write it here and I will post general Millie knowledge in the comments section so you can check later on what you receive. Millie is a 2 1/2 yr old lab shepherd cross & lives on Vancouver Is.